I was allowed to check in early and the room was upgraded. Absolutely gorgeous and comfortable room with all the amenities one would desire. 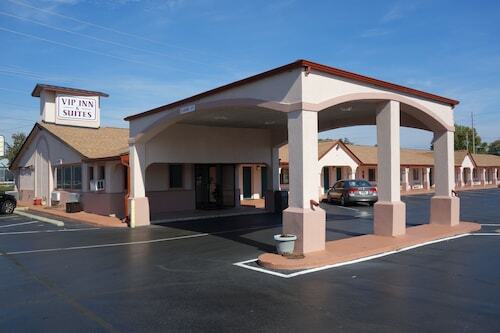 I would definitely recommend this hotel to others as well as reside here numerous times. Pleasantly surprised! Clean, nice, friendly staff, good breakfast, pool and weight room. Perfect for families! Most comfortable hotel bed I've slept in in some time. Customer service was pleasant. I don't have any complaints. I was really pleased with the shuttle service. Traveled from Georgia to Madison Alabama to hear the front desk staff say "we don't honor Orbits.com"
So you're considering a trip to Madison? If you want a place to call home that's located close to Madison attractions, use Orbitz to pick your travel dates, and then presto! Review the list of hotels and other accommodations to find those that are located near what you want to see while you're visiting. We make it easy to find a convenient flight to Huntsville, AL (HSV-Huntsville Intl. ), which is 2 mi (3.1 km) from the city center. Find your ideal flight in a flash by using the filters on our site to narrow down your search. Go for a swim when you stay at one of these Madison properties, popular for their pools. What's the Weather Like in Madison? The breakfast ran out at 6:30. Coffee in lobby was cold. No nightly popcorn. Hallways need cleaned. Family-friendly Private Home in the Heart of Research Park!